We wake up early, before 10am in an Ayurvedic resort — a place where we have to be peaceful and quiet. They are very punctual here; they serve us vegetarian food, sometimes we get chicken, but mostly it’s all detoxifying food. The rice has some kind of purple dots on it. For breakfast we are served fresh fruits and eggs of our choice. The tea and coffee here doesn’t taste like actual tea and coffee. We go for a stroll on the beach and talk about the video, and then we head to the Veet Academy. They have booked the whole mansion. It is pretty awesome! It has gorgeous views, and wherever we go we see beautiful beaches, and lots of girls. 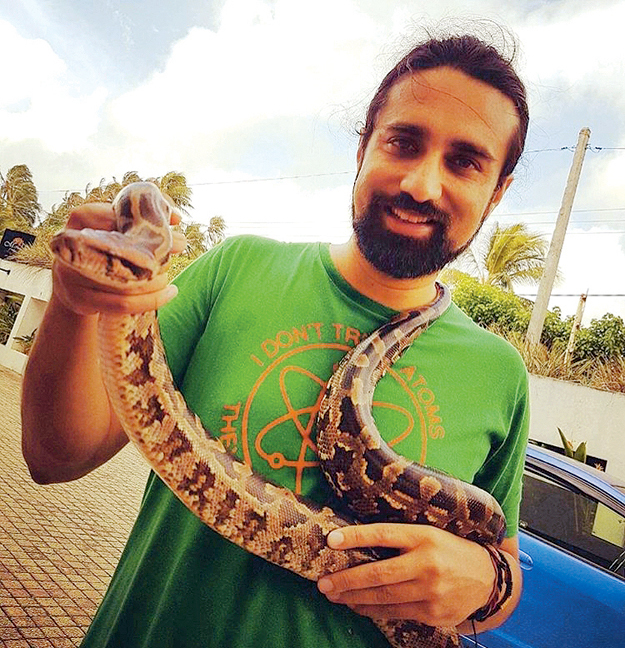 As soon as we enter the mansion, we spot Aamina Sheikh’s daughter playing with a python. As sunlight is the strongest right now, we begin shooting the mansion shots. We hijack all the girls and bring them back to our place! We find ourselves on the beach again — flying kites and playing cricket. 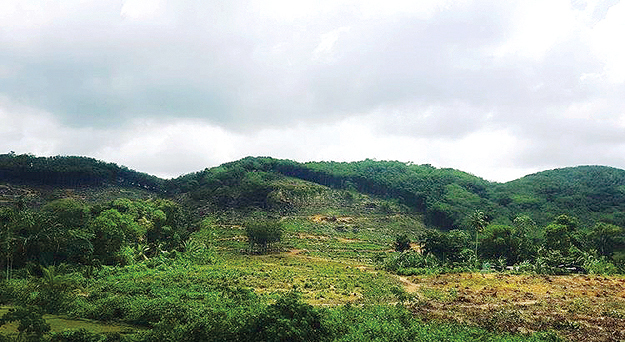 We meet an aeronautical engineer, who flew from Sydney to Hong Kong, then Hong Kong to Sri Lanka just because we were coming. This guy is great, so we hang out and party with him. Not that you can do much in an Ayurvedic resort, but we make the most of it. We go for a swim with Fahad Ashraf, director marketing of Reckitt Benckiser. We begin having long, drawn out discussions with him about how the women of this country should evolve and how we want to open schools together. Other than being in Sri Lanka, and shooting a music video, this is the graver reason why Veet and Noori are working together. Fahad explains how for the last three years the competition was becoming meaningless and he wanted to add meaning to the concept. The girls that are being chosen in the competition are regular girls. The idea behind selecting regular people is that you are not choosing them for their appearance, but for completely different reasons. We talk about what else we can do in the future, how to turn this into an institution, and even discuss the future of the girls who don’t win. It’s very important for them to stay connected because it isn’t about winning and losing, it’s all about exploration and transformation — different people, different backgrounds, different stories, and stories cannot just end. We go to Galle. It’s a full moon and there is a large Portuguese party here. Suddenly, Aisha Khan starts feeling sick and we need to take her to the hospital, but we find out that there are no hospitals. No one is sure what is happening to her. We take her home, and she sleeps it off. We go back to our room and jam with the guitar. We only have a few night sets. After a while we are hungry but we can’t find junk food. We are seriously craving chips and Pepsi at this point. We decide to make fries ourselves, so we cut the potatoes, only to discover that these weird Ayurvedic potatoes just won’t fry! Three hours later, finally the fries are ready! After quickly munching down the fries, we finally go to bed, as we have to start the day early tomorrow. Published in The Express Tribune, December, 4th, 2016. Revered music group discuss latest release ‘Dil Ki Qasam’ with Sara Haider. 2016 has been an extraordinary year for Noori and it’s not over just yet. 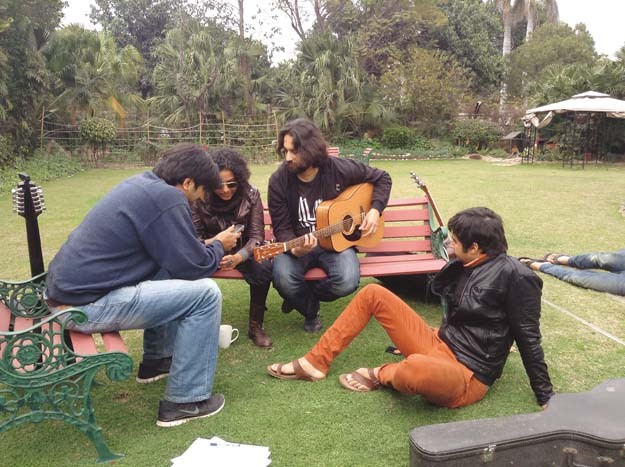 As this story is being written, the much-revered music group is gearing up to headline a gig at Kinnaird College in Lahore, which will also feature other acts like Abdullah Qureshi, Hamza Malik, and SomeWhatSuper. Their most recent release, a collaborative number with Sara Haider, ‘Dil Ki Qasam,’ which serves as the soundtrack to a beauty brand reality show, is certainly endearing them to fans. Shot in Sri Lanka, the song talks of transformation and has led Noori into unchartered waters and they’ve managed to navigate their way without losing their edge. What they won’t be doing is film music. Having worked on the soundtrack of Wajahat Rauf’s Karachi Se Lahore with Shiraz Uppal in 2015, they are not treading that path again unless something extraordinary comes their way. “People who do it, great but not our thing,” explained Hamza. Published in The News, November 18th, 2016. 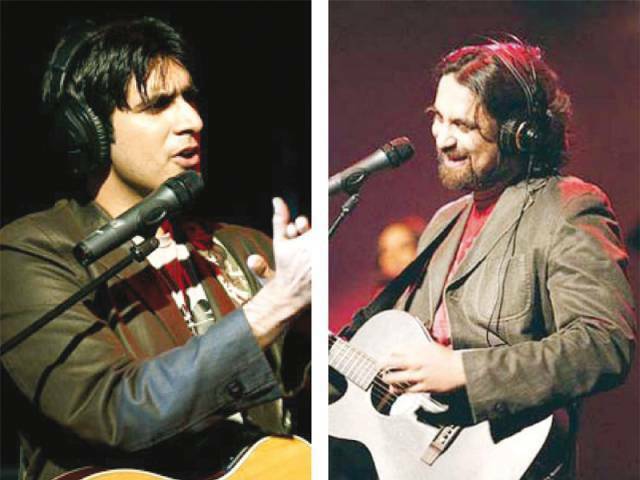 LAHORE: As one of Pakistan’s most popular music acts, it comes as no surprise that whatever Noori does attracts plenty of attention, especially when they set out on tour. The dynamic duo – along with other musicians such as Annie, Falak Shabbir, Arif Lohar and Kami Paul – is currently on a tour of Punjab. In fact, brothers Ali Noor and Ali Hamza have just returned from Sargodha to make a quick pit stop in Lahore before they head out to Gujranwala again. 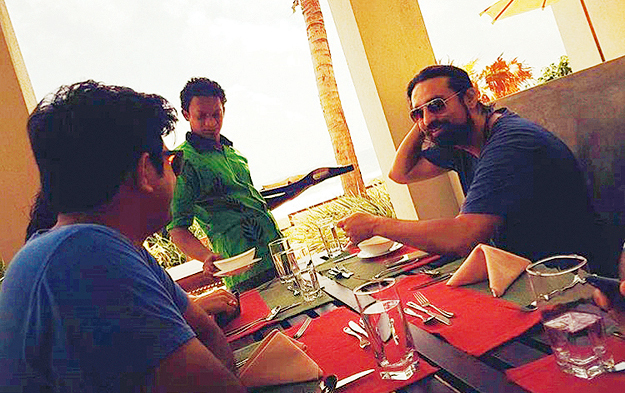 Work really seems to be taking Noori around the globe as the band was recently in Sri Lanka to record a song for Miss Veet Pakistan 2016, along with singer Sara Haider. “The brand got in touch with us about making a song that spoke of transformation and we felt that Dil Ki Kasm reflected the idea,” Ali Noor revealed. So they had to rework the lyrics for 2004 hit, as most of Noori’s older songs are about social concepts wherein women are encouraged to come forth with their talent and try to be equal members of society. Ali Noor also shared that Ali Hamza will soon be launching a new project called Sanwal that incorporates a very different style of music. What can we say about Noori that hasn’t been said before? 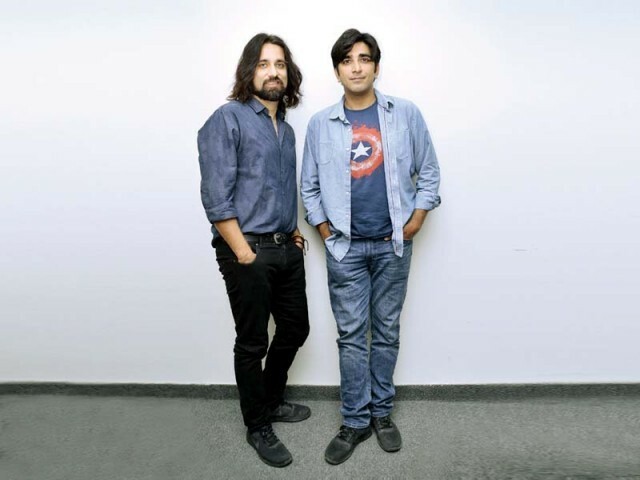 A big victory at the Lux Style Awards for their third studio album, Begum Gul Bakaoli Sarfarosh, a thrilling stint on Coke Studio as music directors, a bunch of captivating music videos and several singles later, music group Noori is going strong as ever as the year winds down. In fact, as this story is being written, Noori, one of music’s most cherished names, have embarked on an extensive more-than-a-month-long Punjab tour. Starting on November 3 in Okara, it will go on till December 12. After memorable shows in Okara and Bahawalpur, the band is currently in Multan. In the coming days ahead, they will also play shows in other cities like Faisalabad, Sargodha, Gujranwala, Gujrat, Sialkot, Islamabad and Lahore as part of the tour. And if there was any doubt about Noori’s popularity, their Instagram and Facebook accounts, updated with pictures from this tour, will crush that myth aside. Scores of fans have been coming out to see the band across cities. 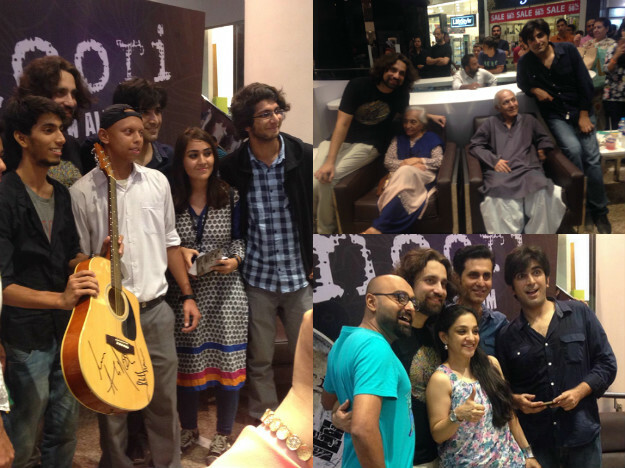 Not surprisingly, Noori seem to be in jovial spirits, a sign of which can be seen in how the band has been indulging their many fans with photo ops. Joined by Annie, Falak Shabbir and Arif Lohar, Ali Noor, Ali Hamza and Kami Paul look like they’re having the time of their lives and giving music listeners across the province of Punjab a chance to experience the band’s colorful shows. If you are in the area and close to any of these cities, look out for their shows. Published in The News, November 7th, 2016. 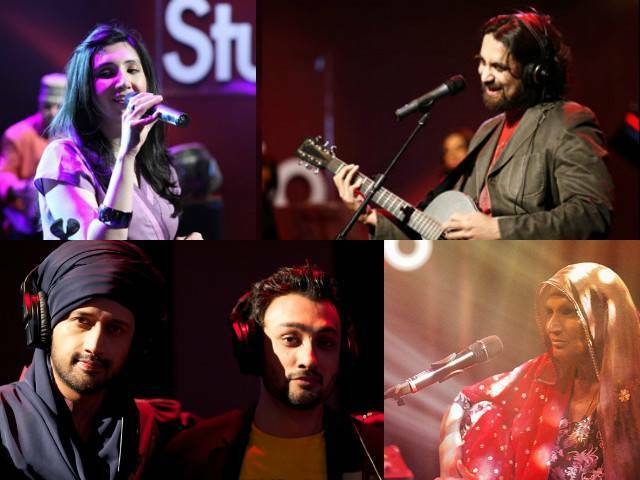 LAHORE: Ali Noor and Ali Hamza are undoubtedly, the most celebrated musicians on this year’s Coke Studio. 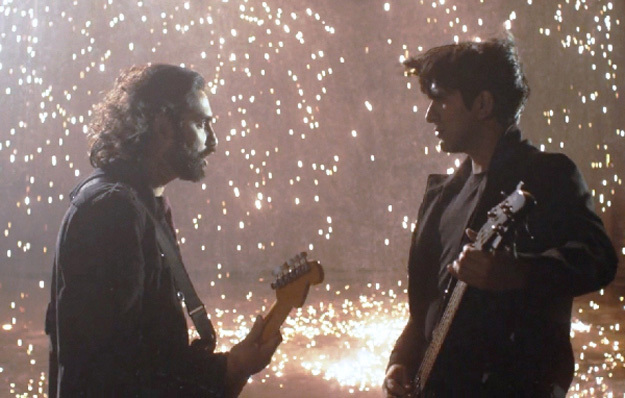 After appearing on season two and three of the show as featured artists previously, the brothers – who together form rock band Noori – have made a fantastic return, this time as music directors. And while their latest offerings from the platform, Baliye and Aaja Re Moray Saiyaan, rule the airwaves, the dynamic duo has been making greater plans. In fact, in Ali Noor’s own words, they are looking to “change the future of music in Pakistan”. With that statement, Noor refers to Noori’s brainchild BIY Music – an initiative to promote original music across the country. “You have to BIY (Believe in yourself) to DIY (Do it yourself),” says the singer, explaining the name of his record label. Beginning as a record label, BIY Music metamorphosed into a space where artists can brainstorm and generate originals. The premise is simple; “The output shouldn’t be cover songs. We want people to bring something new to the table,” says Noor. According to him, current Coke Studio members such as Junaid Khan, Ali Azmat and Momina Mustehsan are already on board. But this is hardly all that Noori has been up to recently, seeing as how the band seems to be on a roll since the release of Begum Gul Bakaoli Sarafarosh (BGBS) last year. 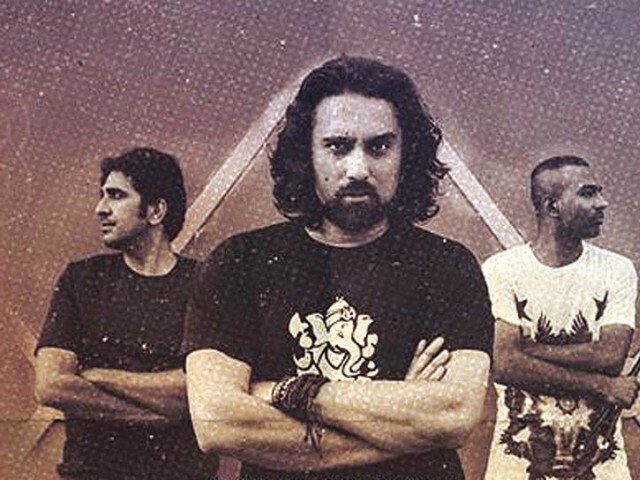 With the album, Noori made a solid comeback after a 10 year hiatus and even brought along a collaboration with Indian folktronica duo Hari and Sukhmani. 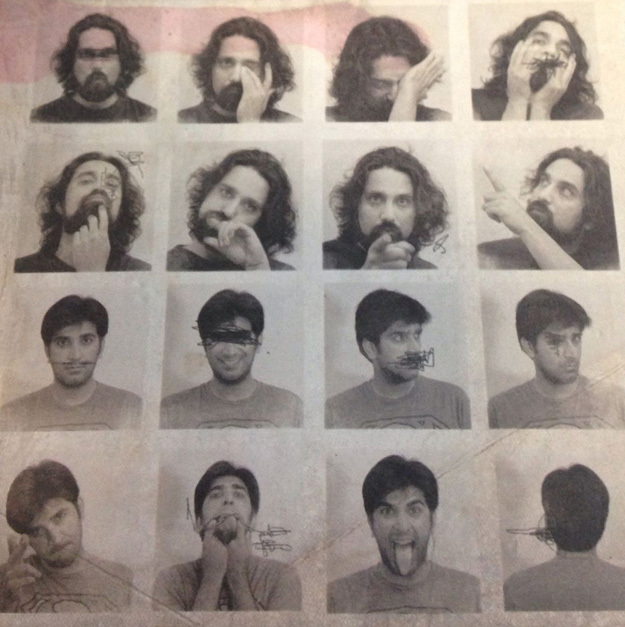 And now, with a Lux Style Award for Best Music Album under their belt, the Lahore-based band is clearly just warming up. Apart from Coke Studio, Noori’s latest work also come from relatively new music show Cornetto Pop Rock, wherein the band has collaborated with singer Qurutulain Balouch (QB) on a song called Pyar Wyar. “This was QB’s first project; the first song she wrote herself. Now, we will develop it further, along with her,” shares Noor. A behind-the-scenes video on Noori’s BIY Music page shows Noor and Hamza’s encouragement and direction for QB, the result of which is a noteworthy, original melody. The coming days will also see the band work with Azmat. With so much on their plate, Noori wishes to create a crescendo effect and encourage other Pakistani artists to create original content. In fact, it was with this aim that the band came up with Aja Re Moray Saiyaan, a song written by Zehra Nigah that features Zeb Bangash. “The melody had been with us for 20 odd years but we kept going back and forth with it. The real credit goes to Bilal Maqsood, who really helped us put it together,” says Hamza, who also lent vocals to the song. Baliye, on the other hand, is the fusion of an original track written and composed by vocalist Haroon Shahid with a Musarrat Nazir classic, Laung Gawacha. “All our other songs from Coke Studio are originals, although the show’s format is to work with existing classics,” reveals Hamza. The duo shares that they became very friendly with Strings and forced them to get involved. “We were working more as composers and they were doing the producing. We made songs from scratch on Coke Studio, along with Strings and the house band. If there was one thing I could take away from the experience, it would definitely be production,” he adds. If all of this isn’t enough, there is another Noori original coming up on Coke Studio, with Indian singer Shilpa Rao and Noor and his mother who plays the sagar veena on it. “She’s the only one in the world who plays that instrument and her father Raza Kazim made it for her,” says Noor, adding that while there is ample material ready to put out in an album, he is focusing on releasing other peoples’ work through BIY Music. With season 9 around the corner, we look back at the biggest hits the show has belted out so far. KARACHI: With the ninth edition of Coke Studio around the corner, The Express Tribune looks back at the biggest hits the show has belted out, over the years. There’s hardly a Coke Studio song from this duo that did not click with the audiences. Season 6’s Laili Jaan is a Darri hit, originally done by Ahmed Zahir, that blurs boundaries with incredible ease. Koi Labda from Season 5 is warm and extremely fulfilling. This is one collaboration from the show wherein everything fell perfectly in place. While there aren’t many songs from the Strings era that make it to our list; Kadi Aao Ni from Season 8 is one that does deserve a spot. Mai Dhai shines in all her glory as we see glimpses of the Atif Aslam of Jalpari. Laila O Laila was part of Season 6 that saw Rohail Hyatt bring in foreign musicians and eventually step down as the show’s producer. Not that we saw too many on the show, Laila O Laila was perhaps Coke Studio’s best rendition of a Balochi tune. With this tribute to Ustad Muhammad Juman from Season 2, Ali Zafar completed a successful experiment with a very different singing style. The Flamenco chord progression is an absolute treat. Pop icon Sajjad Ali made his Coke Studio debut in Season 4 and gave us his signature product – an all-out entertainer; the show had not exactly had an upbeat number to offer before this. Kuch Hai is powerful, haunting and captivating. Season 4 showed the world why Faraz Anwar fans call him a guitar maestro. This Strings original is one of the best pop compositions to come out from Pakistan and is still as popular as it was in 1992. This Season 1 song is an early example of what Rohail Hyatt had set about to master. He came. He mesmerised. He vanished. Asif Hussain Samraat’s Rajasthani thumri from Season 4 is like medication for anxiety. Coke Studio never saw better voice quality. Qayaas were one of Pakistan’s most promising acts and Charkha Nolakha only reminds us what we have lost with their breakup. This ode to Ustad Nusrat Fateh Ali Khan and Led Zeppelin from Season 5 is one of the show’s best-arranged songs. Attaullah Khan Esakhelvi graced Coke Studio in Season 4 and gave us a love song to remember. Jaffer Zaidi’s piano and accordion; Amir Azhar’s mandolin and Essakhelvi’s supplementary recital of a nazm stand out in this heartwarming number. This Season 2 song saw Noori delve into devotional music for the first time ever and come up with one of the most memorable songs from the show. Saieen Zahoor’s distinct tone, Ali Hamza’s banjo and Ali Noor’s impressive vocal range make this a sure-shot winner. Kangna, in Season 4, saw Coke Studio engage with authentic qawwals and qawwali for the first time. A composition in Raag Malkauns, Kangna is yet another achievement of the Rohail Hyatt era. While Javed Bashir’s unmatched vocal prowess had already begun to gain attention long before this song came out, Season 2’s Aj Latha Naeeo announced his arrival and upped the ante of a show that was still establishing itself. 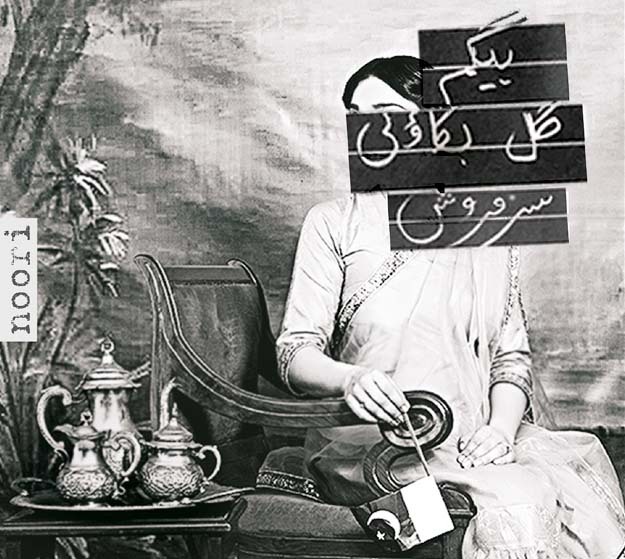 Saari Raat from Season 2 is arguably the finest Coke Studio has ever produced. A textbook example of how fusion music can work wonders. KARACHI: Nearly a decade and three breakups later, Noori has made a comeback to Pakistan’s music scene and fans are in love! 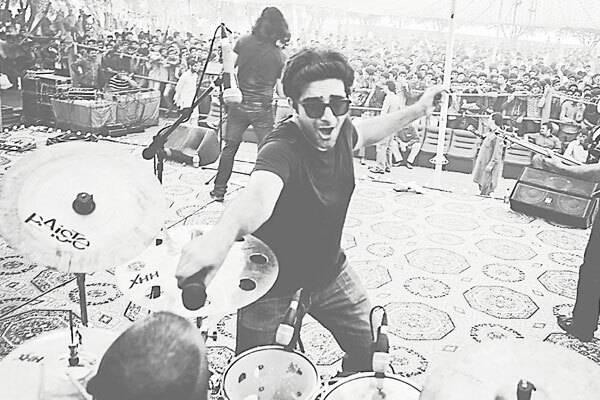 The band are currently touring Pakistan’s major cities. 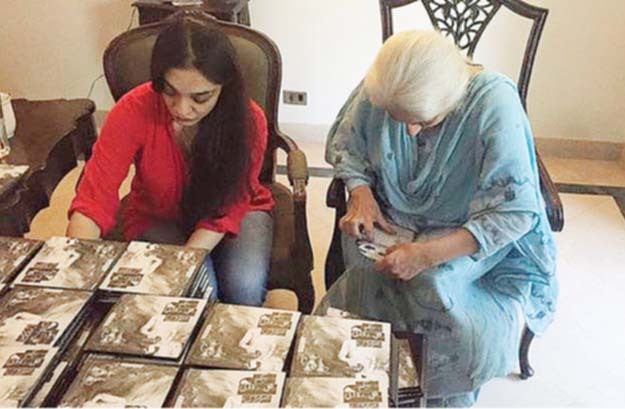 Their second stop — in the City of Lights — saw Karachiites running in droves to Ocean Mall to welcome the band’s new album Begum Gul Bakaoli Sarfarosh (BGBS) on Saturday. Ali Hamza too was overwhelmed by the response. “We want people to listen to this album, so that the message resonates with them and they give us some feedback,” he said. The huge attendance was undoubtedly a sign that Noori still remains relevant to the country’s music scene — hundreds of people queued up just to get a signed autograph from the two singers. For us Noori was never absent from the music front as there timeless hits kept us mesmerised during their hiatus. Their much-awaited career resurgence with BGBS cements their legacy as one of the all-time greats. 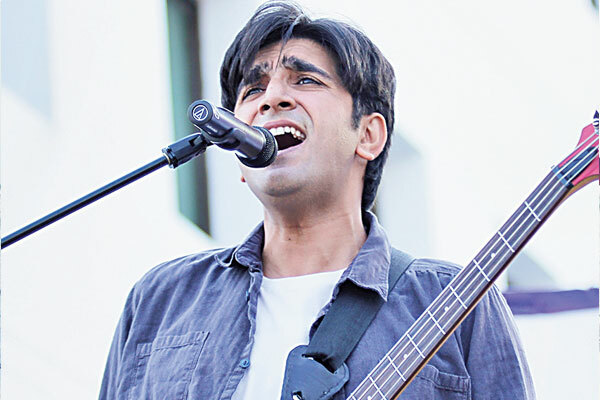 According to Ali Hamza, “Noori announced a trilogy of albums when they first released Suno Ke Main Hun Jawan in 2003″. After making waves with the second album Peeli Patti Aur Raja Jani Ki Gol Dunya in 2005, BGBS is set to give you some serious flashbacks of their signature sound. For all of those who missed the chance to grab their BGBS copy in a three-day whirlwind tour, not only did you miss another worthy edition to your collection, but also an opportunity to invest in yourself. 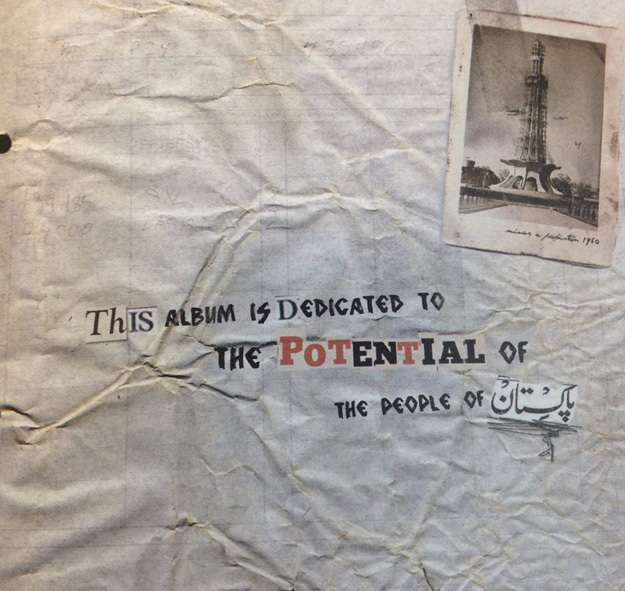 Bonus: An interesting booklet (part of the album) which is an eye-opener as it takes you back to 1947 and makes you realise that it’s time to bring about a positive change in Pakistan. No it’s not a remixed version of their 2003 hit Gaana No. 1, but the first track of the new album which is titled 1947. 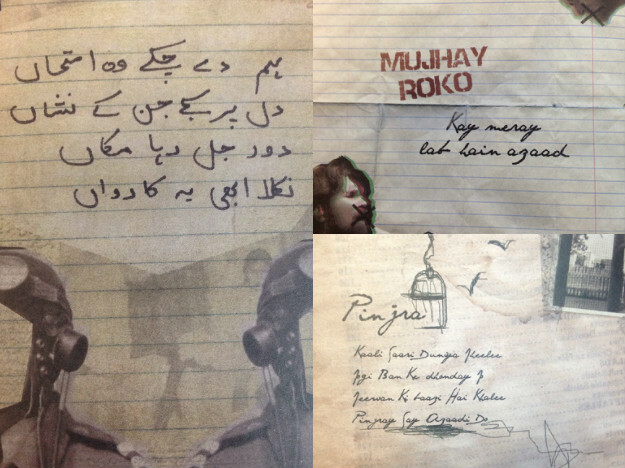 Unees So Santaless Jab Aarzoo Jaagi Meray Man Mein — it will definitely tingle your patriotic nerve. P.S. 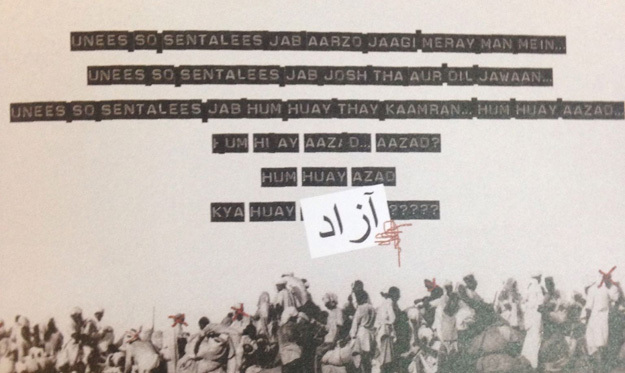 Ali Noor’s narrative will make you work on your diction, especially the word ‘sahar’. 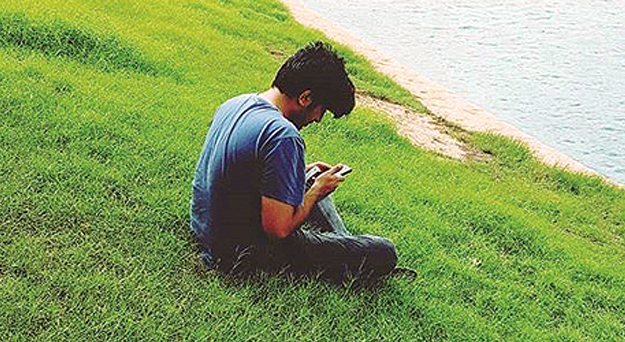 For us millennials, Noori’s hits were an essential part of our formative years. We played them during college gigs, listened to them during long drives and danced to them in our bedrooms. Well, BGBS takes us back to those times! If Dil Ki Qasam, Ooncha, Merey Log, Nishaan and all their previous tracks left some traces of a rebel in you then Hoshiyar, Pinjra, Keedar, Sarfarosh and Mujhay Roko will definitely awaken that lost spirit. Tears, goose-bumps and patriotic sentiments define Noori’s Saya-e-Khuda-e-Zuljalal. BGBS covers all patriotic essentials; from 1947 to our national anthem. If this powerful music can’t unite us as a nation, nothing can. Do you really need any other reason other than the fact that it’s NOORI! You can show your love and support by streaming their latest album’s songs online on Patari.